German scholar; born at Schildberg Sept. 1, 1874. Educated by his uncle, Jacob Levy, author of the "Neuhebräisches Wörterbuch," and then at the gymnasium and the Jewish Theological Seminary in Breslau, he received his doctor's degree from the Breslau University. He obtained his rabbinical diploma in 1899 and was appointed lecturer on Biblical exegesis and Jewish history at the Collegio Rabbinico Italiano in Florence. In 1902 he became privat-docent at the Lehranstalt für die Wissenschaft des Judentums, Berlin. 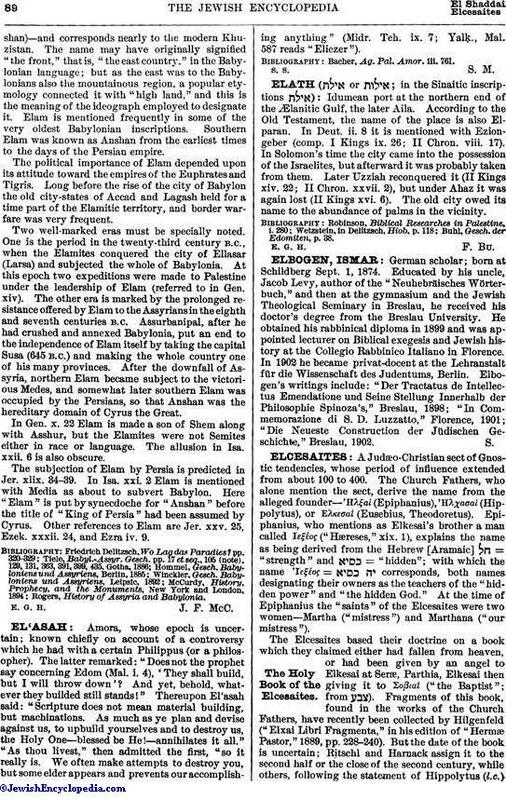 Elbogen's writings include: "Der Tractatus de Intellectus Emendatione und Seine Stellung Innerhalb der Philosophie Spinoza's," Breslau, 1898; "In Commemorazione di S. D. Luzzatto," Florence, 1901; "Die Neueste Construction der Jüdischen Geschichte," Breslau, 1902.